Bangla Fusion known for its opulent style and unrivalled fine dining is inviting you to come and experience the most elegant and paramount dishes that will exceed your satisfaction. The divine combination of East and West promises a delectable meal whilst marrying the sublime ambience with comfortable sofas and rich artefacts; Bangla Fusion guarantees a night that you will never forget. Whether you fancy a drink from our vast wine bar, a classic curry or perhaps you have an acquired taste for something special, we have the menu to fulfil your choice. We are sure we can offer something that will satisfy your palate. Our welcoming staff will take care of your every need, starting with a drink of your choosing from the ample wine bar. You might want to order from our variety of wines, where we have a wide selection of red, white and rose to perfectly accompany your meal. Or naturally you can choose from our draft lagers, bottles, spirits or soft drinks. We use the highest quality ingredients because our aim is to provide our guests with a memorable wine & dining experience, and the food itself is integral to this. Whatever you choose our talented chefs will prepare your food with care and craft, taking every step to ensure your meal is the best it can be. It's this approach that has earned Bangla Fusion some prestigious accolades. We're also proud to be voted in the Top 100 restaurants in the UK with British Curry Awards from 2008 and are delighted to be nominated and shortlisted for the British Curry Awards this year. We are the only Indian restaurant to have been recommended by The Good Food Guide consecutively for 4 years, and are included for this year too! Our guests often stay for more than just their meal. We've got a luxurious bar area available to you, so feel free to relax with a drink or soften on our comfy leather sofas and de-stress. There are loads of drinks on offer to suit any mood, and we also supply some of the finest cognacs and single-malt whiskies with brandies ranging from Courvoisier to Remy Martin Louis XIII and whisky from Bells to Johnny Walker Blue Label adjusting to everyone's budget and taste. 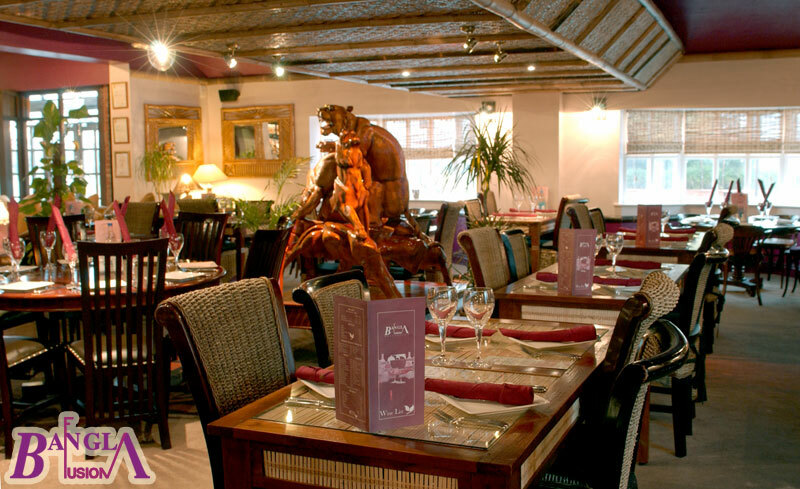 We've got enough room for everyone with our seating capacity of over 150 people and a lovely conservatory dining room containing enough space for large family meals, private parties, office get-togethers and we can accommodate to all of them with ease. With a child-friendly environment and popular theme nights with local artists like Stephen Bayliss, Sara Creeney and Jason Rea close- performing, Bangla Fusion is the ideal venue for every age. We use the highest quality ingredients because our aim is to provide our guests with a memorable wine & dining experience, and the food itself is integral to this. Whatever you choose our talented chefs will prepare your food with care and craft, taking every step to ensure your meal is the best it can be. It’s this approach that has earned Bangla Fusion some prestigious accolades. 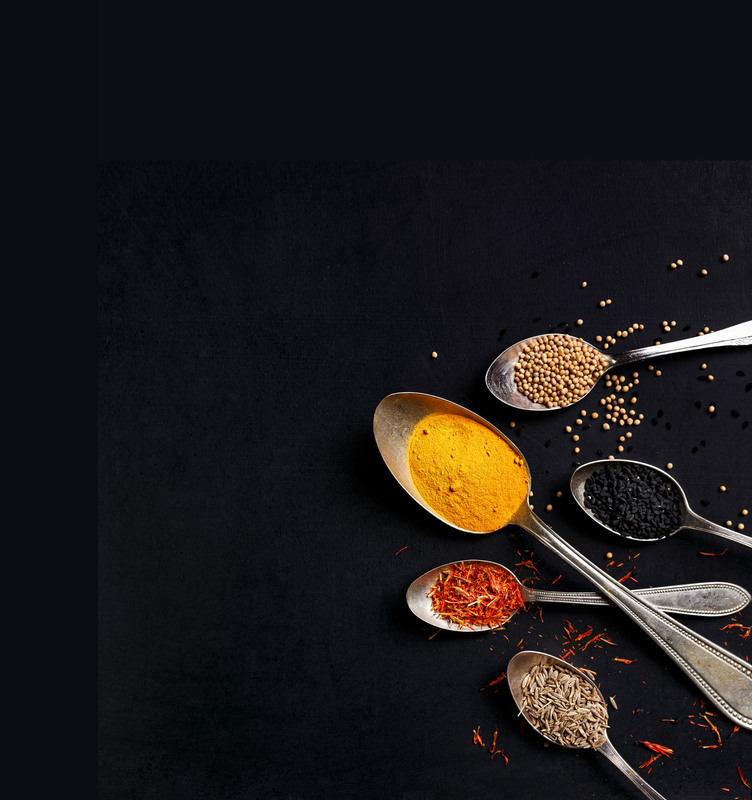 We’re also proud to be voted in the Top 100 restaurants in the UK with British Curry Awards from 2008 and are delighted to be nominated and shortlisted for the British Curry Awards this year. We are the only Indian restaurant to have been recommended by The Good Food Guide consecutively for 4 years running.